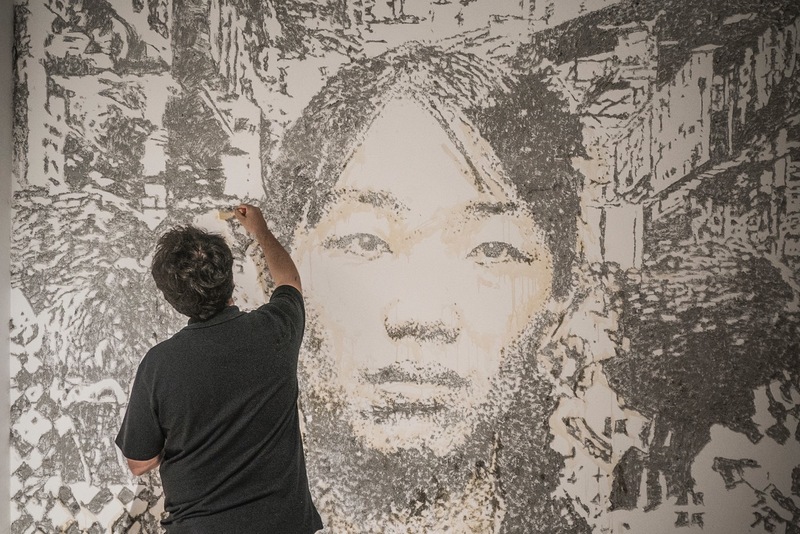 Following up on an exhibition in the neighboring Hong Kong (covered), Vhils (filmed) will be opening a show on May 31st at Navy Yard No.1 – Contemporary Art Center in Macau. Entitled Debris, like his exhibition in HK, this event was organized with the support of the Hong Kong Contemporary Art Foundation (HOCA) and will lead to an interesting body of work from the Lisbon-based artist seeing as this Special Administrative Region of China used to be a Portuguese colony. 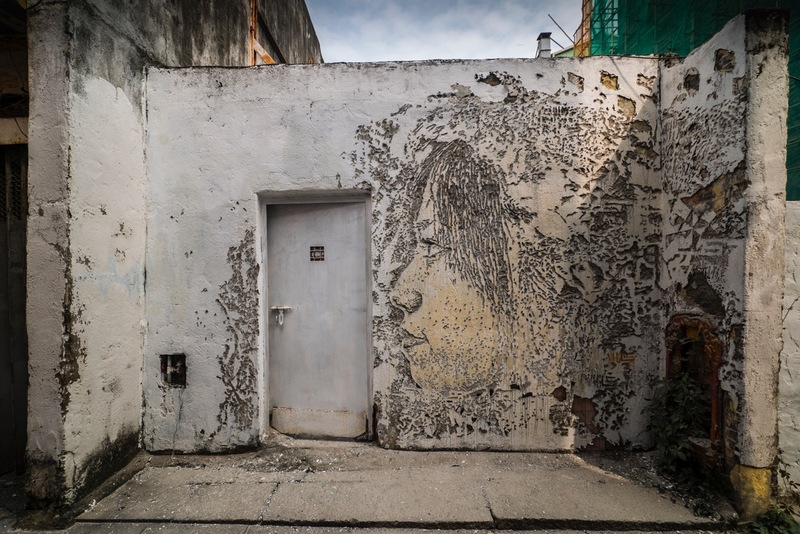 Of course, the new work will feature Vhils’ unique mark-making including new billboard pieces made from posters gathered on the streets of Macau, door carvings on doors collected in the region, and a slow-motion captured video of Macau’s streets. Fittingly, the show will also give the Portuguese street artist an opportunity to create four public murals in the city, one of them which can be seen above. Categories: Shows & Events, Street & Urban Art. Tags: Macau, Shows & Events, Street & Urban Art, Vhils.